If your facelift results have faded over time or you are disappointed with the results of a previous procedure, you may consider a revision facelift. Revision or secondary surgery refers to operative procedures that are performed to improve, refresh, or in some cases to correct surgery previously performed by another doctor. Specializing exclusively in facial plastic and reconstructive procedures of the face, Dr. Bassichis can help you address issues regarding revision facelift surgery such as a distorted or pulled appearance, unusual hairline, hollowed lower eyelids, scarring, and unnatural contours. With revision facelift surgery, Facial Plastic Surgeon Dr. Bassichis can transform an unnatural “face-lifted” result to a more natural, rejuvenated appearance which more truly reflects your inner well-being. Revision surgery can also refresh a fading facelift to restore your results naturally and beautifully. 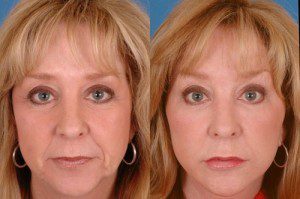 Why is a revision facelift more difficult than a first-time facelift? First, after any surgery scar formation creates a thick, tough layer that is more difficult to work with than original, non-operated tissue. Second, the native locations of facial anatomy have been altered making it more challenging for the surgeon. Third, being a more complex and delicate procedure, the overall skill required to perform a successful revision facelift is greater. As a double board certified facial plastic and reconstructive surgeon, Dr. Bassichis is highly experienced in the challenges of revision plastic surgery. With this expertise, Dr. Bassichis is able to provide his patients’ with an honest, realistic vision of what can be accomplished with revision facelift procedures to achieve the most healthy, natural results. I had a facelift somewhere else and I don’t like my result. Can you “fix” it? As a facial plastic and reconstructive surgeon, patients who have had previous surgery elsewhere are often referred to Dr. Bassichis for revision. Although many patients want immediate adjustments to the original facelift, we recommend waiting one year before after your initial surgery prior to undergoing revision surgery. The final results of any facelift are not completely healed until one year postoperatively. Throughout the 12-month healing interval following a facelift procedure, features refine and define as swelling resolves. With careful visual and photographic evaluations, Dr. Bassichis will provide support and reassurance throughout the course of the healing period. 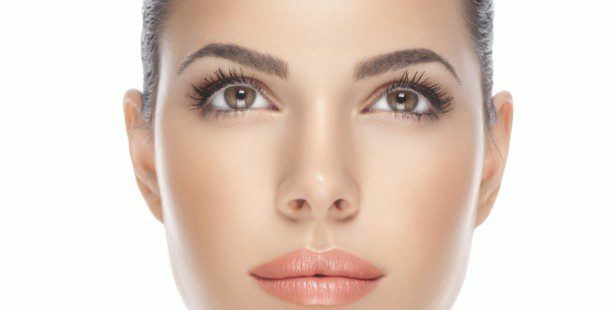 In some cases the refinements of healing are sometimes enough for a result to be acceptable to the patient, requiring only minimal non-surgical interventions such as facial fillers or scar revision. In cases where surgery is needed, we will guide and support you through your revision surgery process and look forward to helping you achieve your desired healthy results from revision surgery. What can I do to optimize my results of revision surgery? Revision surgery is meant to improve your present appearance. Nothing can stop the inevitable aging process, but it will ‘set back the clock’ and correct or refresh the prior procedure. There are several things that you can do to help extend and optimize your results, including maintaining a healthy weight, avoiding sun exposure, and keeping your skin properly hydrated and healthy with a skin care regimen and therapeutic treatments from our Medi.SPA. It would be our pleasure to see you for a complimentary consultation with our double board certified Facial Plastic and Reconstructive Surgeon regarding your revision facelift surgery. Please click the photo below to be immediately connected to our REVISION SURGERY PHOTO GALLERY.